Tuesday’s Horse Racing for Exeter, Gowran Park, Pontefract and Southwell. The betting experts here at amfreeracingtips have a total of Four betting selections for you to chose from today. £1 WIN LUCKY15 (A 4 betting selection wager consisting of 15 bets: 4 singles, 6 doubles, 4 trebles and a four-fold accumulator) not enough race meetings to make one for today) A £1 Win (total stake £15) Lucky15 returns tomorrow. THROUGH THE CARD (Otherwise known to members as the TTC – Each day the pro tipsters select a race meeting and submit a horse racing tip in every race, usually 6-8 racing tips daily. Today’s feature meeting is at Exeter with some big prices betting selections including 10/1, 8/1 and 6/1’s. Horse Racing Tips Winners from Through The Card today are pending. All Betting Odds Correct at stated times for each either free racing tip and or betting selection. We have for you today Two free racing tips below running at Southwell and Exeter. The bronze tip is our free daily Each Way tip. Has won in a hurdle race over 2m on good ground. Time left to place bet! 18+. UK+IRE only. Min first bet £10 at odds 1/2 or more. Tote and Pool excluded. Must be placed within 14 days of account reg. £30 credited as 3x £10 free bets. Not valid with Cash Out. Free bet valid for 4 days. Free bet stake not returned. T&Cs apply. Looks like your not a member yet though! Or your just not logged in. Looks like you don't have access to this service yet! Or your just not logged in. This is a six day a week service with a tip in every race of a chosen meeting. For our loyal VIP customers we have today Win Double and Win Lucky 15 below. It's a gooden today enjoy. Trusted UK Online betting site. Access to our best racing tips 100% FREE! Top racing enhancements from a trusted bookmaker. Access to our best tips 100% FREE! Worlds largest internet betting exchange. Top betting offers and banter. Free bets paid out within 24 hours. Money back if your horse is beaten by a head. Make a deposit of £10 minimum. 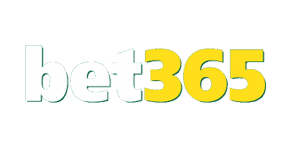 Claim Betway free bet of up to £30. Make a minimum deposit of £5. 100% FREE Daily Horse Racing Tips! Emails sent as soon as we publish the tips every morning! Please Note: You must confirm your subscription by responding to the email we send you. Otherwise you will not receive the tips.